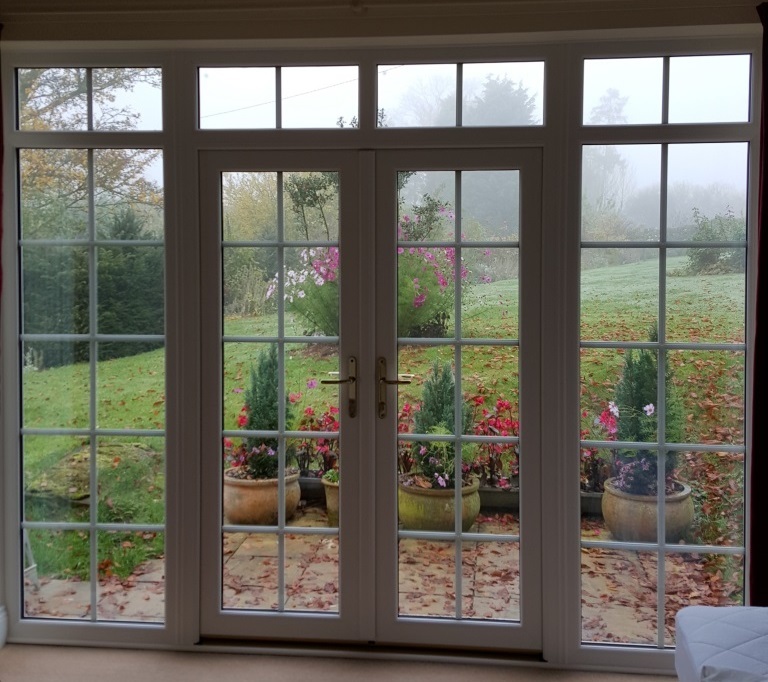 This Kommerling smooth white French door with matching side panels boasts equal sight lines to allow an abundance of light to fill the room and has the advantage of a low aluminium threshold for ease of access. 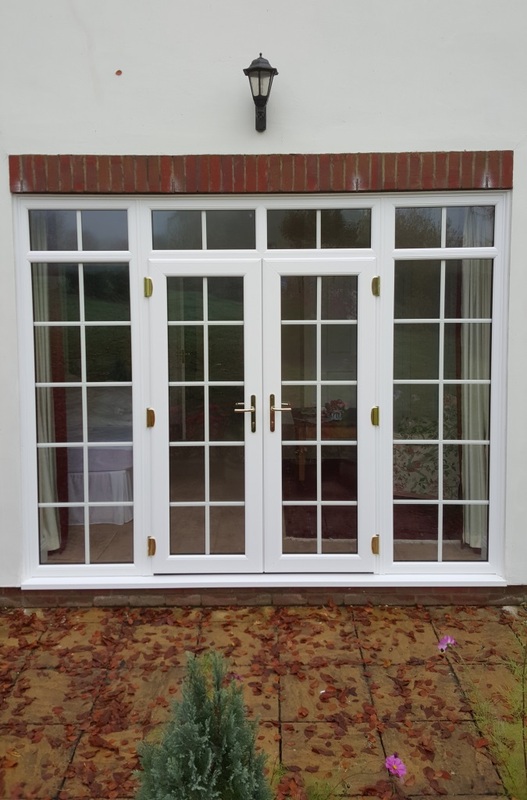 We were able to replicate the detailing of the authentic Georgian bar which compliments this period property. 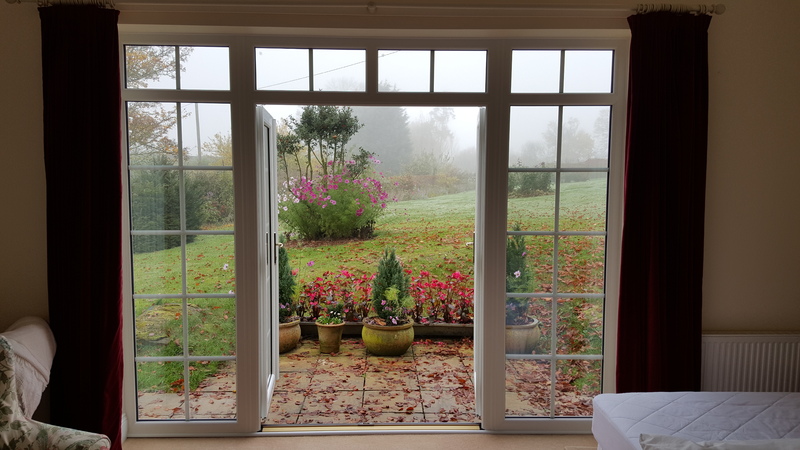 Our client was pleased to make the transition from timber to hassle free UPVC, which eradicated the need for yearly maintenance and upkeep. 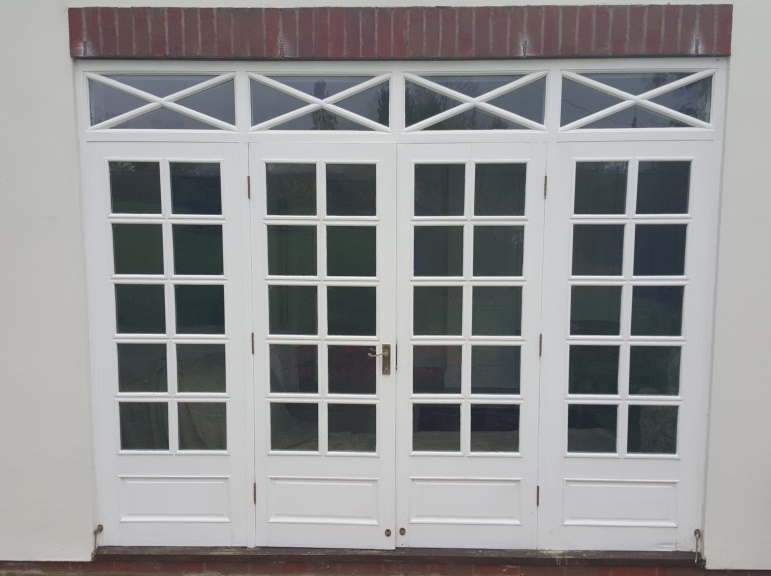 Head to our French and Double Door page for more information.